The fourth annual Dance, Dream & Inspire will be held at the Hard Rock Live on Saturday, September 19th, 2015 at 6:30pm with a VIP party and silent auction. At 8pm, the ballroom dancing competition begins with several local leaders and celebrities that will benefit the Community Based Care of Central Florida (CBCCFL), a nonprofit that oversees foster care, adoption and child welfare services in Orange, Osceola and Seminole counties. Eight pairs of ballroom dancers will compete in a ballroom dancing competition similar to the television show Dancing with the Stars where they will be judged on their routines ranging from salsa, swing, tap, and tango. 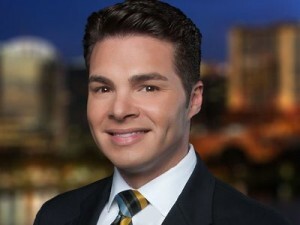 WFTV News Anchor Jorge Estevez won the overall competition in 2013 and will be co-hosting the 2015 event along with Nancy Alvarez. Estevez states, “The thought of watching others dance this year is such a relief. I was sweating this time in 2013, rehearsing what felt like around the clock. I do not envy all the dancers’ responsibilities. My partner in 2013, Brooke O’Donnell, was such an amazing teacher, and I learned so much about myself and what people can do once they remove any inhibitions. If you watch that clip on YouTube (see video below), you’ll see all inhibitions go out the door. Tickets start at $26.45 and can be purchased through CBCCFL or Ticketmaster. Sponsorship opportunities are still available. Visit DanceDreamInspire.com to learn more about the event and vote for your favorite dancers by making a tax-deductible donation. Each dollar counts as one vote, and the “most popular couple” will be recognized at the competition. This entry was posted in Events and tagged annual events, charity event, hard rock live, media, october, orlando, universal. Bookmark the permalink.